At Redesdale Primary School we provide a range of Enrichment Clubs for our children to take part in, such as football, fencing, craft club, gardening and STEM club. Every half term an ‘Enrichment Club Application Form’ is sent out to all the children from Reception to Year 6 so they can choose a club which they are interested in. 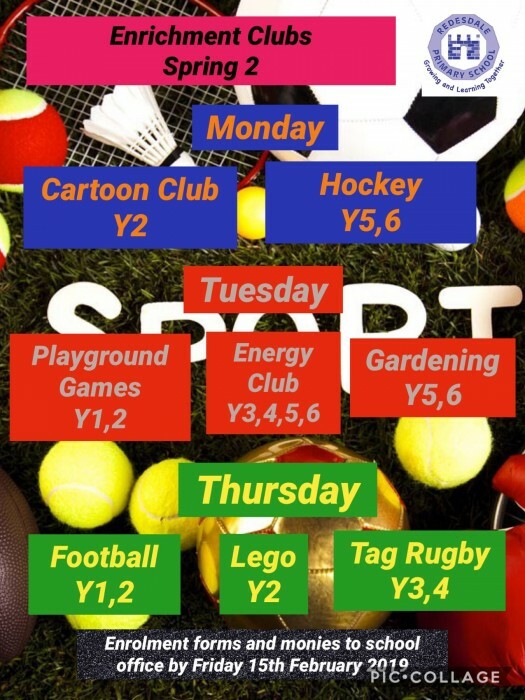 We try to provide a variety of clubs for each year group every half term and review the provision with the children to meet their interests and needs.